(Seychelles News Agency) - Seychelles has successfully concluded the financial part of a debt buyback process and can go ahead with its plans for marine conservation and climate change adaptation works, the finance minister said Tuesday. Seychelles’ Minister of Finance, Trade and the Blue Economy, Jean-Paul Adam, told a news conference that the financial stage of the buyback of Paris Club debt is now completed. “It is important that we understand the stages. Now we have completed the financial part only. Discussions with all local operators are continuing on the plan and we will move on the operation part once we agree on how it will be put in place,” said Adam. Last week the government of Seychelles, a group of 115 islands in the western Indian Ocean, finalised the arrangement to buy back $21.4 million of its Paris Club debt. Seychelles underwent an IMF-assisted economic reform programme after the country’s 2008 debt crisis when total debt had reached 151 percent of GDP, with external public debt representing almost 95 percent of GDP (US$ 808 million). A large part of Seychelles' debt was towards its Paris Club creditors - an informal grouping of twenty industrialised nations, including France and the United Kingdom - and 40 percent of that debt was in arrears. “With the debt bought back it means we no longer owe the Paris Club. The debt will be paid to the organisation set up under a law called Seychelles Conservation and Climate Adaptation Trust (SEYCCAT),” says Adam. Minister Adam explained that the initiative with the Paris Club started in February 2015 and was followed with negotiations with bilateral partners. The buyback initiative was successfully concluded thanks to a concessionary loan from The Nature Conservancy (TNC) and generous grants from a group of international marine conservation foundations. Minister Adam said the government will continue to pay back the loan to SEYCAAT and this will be more advantageous for Seychelles. 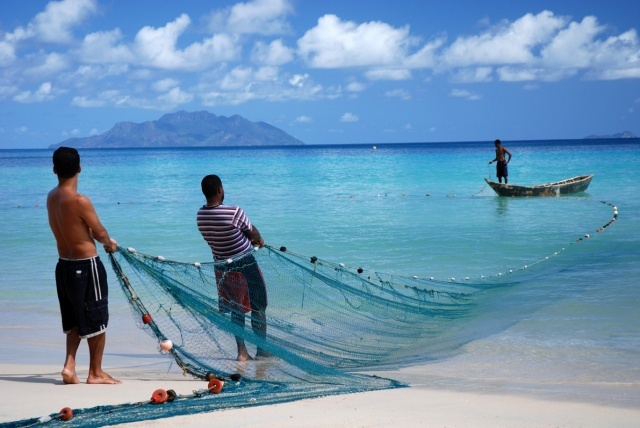 The Seychelles Conservation and Climate Adaptation Trust (SEYCCAT) will use the fund for critical marine conservation and climate change adaptation works in Seychelles and to service the TNC loan. SEYCCAT, which is chaired by Adam, includes a representation of international and local non-governmental organisations. Its funding decisions will be made according to a clearly defined remit by its board.